Elephants are killed for their ivory, meat and hides. The ivory trade have reportedly decreased the elephant population, which prompted bans on ivory import. Other threats to their existence are habitat destruction. 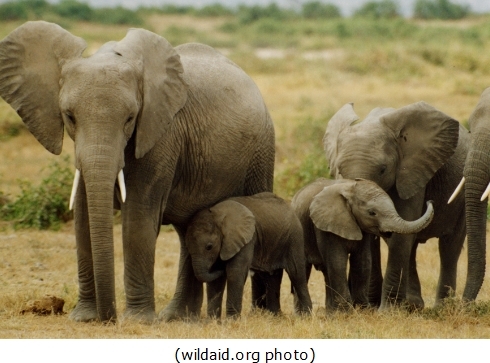 Elephants can exhibit aggressive behaviour and destructive actions against humans if they feel threatened. Atleast, 500 people are killed annually by elephants. 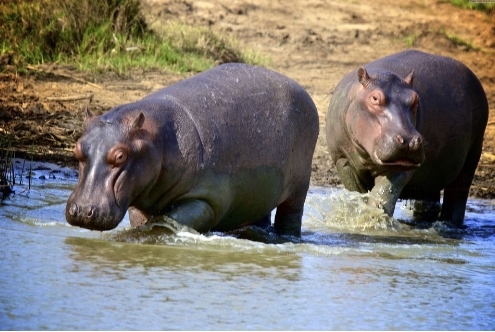 Hippopotamuses are aggressive animals, but due to their size and aggression, they are not preyed upon by other predators. Their usual target is crocodiles since they inhabit the same environment. They are also aggressive towards people, whom they attack without any provocation. They also attack boats. Small boats can be capsized, which would left its passengers injured or killed. On average, about 500 human deaths are reported every year.